In a world of instant access and 24/7 connectivity, it is getting harder and harder to determine where and what should get our attention. With more responsibilities, more demands both at work and at home; the more expected, inspected, and dissected we feel the ever increasing pressure to do more. With the constant pull and the constant ping of yet another message to be returned, post to be liked, and phone call to return, it’s no wonder so many people feel overworked and overwhelmed. In a world whe re everyone is vying for every second of our day, it’s not uncommon that we allow others to dictate our schedule and our priorities. But what can we do about it? The underlying theme in Greg McKeown’s recently released book, Essentialism – The Disciplined Pursuit of Less, is that if you don’t prioritize your life, someone else will. When I read this tagline, I knew I needed to read this book. Sounds great on paper, but how? How can we determine what is most important, what should get our time and attention, and what our priorities should be? Over the next couple of hundred pages, Greg lays out the blueprint for becoming more by doing less. The journey begins with helping his readers to gain an understanding of what essentialism is, and then quickly moves into how to determine what should stay and what should go. The first step in the journey to becoming an essentialist is embracing the power we have to choose. “We often think of choice as a thing. But a choice is not a thing. Our options may be things, but a choice – a choice is an action. …we may not always have control over our options; we always have control over how we choose among them. Once we remind ourselves that we do have the power to chose, Greg then reminds us that not everything (despite what we currently may believe) is of equal importance. Part of the process of becoming an essentialist, and reaping all the benefits that come with along with it, is accepting the fact that we’re going to have to make trade-offs. Greg shares the following story to help drive home the point. Explore – How Can We Discern the Trivial Many From the Vital Few? Greg ends the chapter with the story of how Bill Gates purposely and regularly takes an entire week off to simply think and read. In other words, twice a year, during the busiest and most frenetic time in the company’s history, he still created time and space to seclude himself for a week and do nothing but read articles (his record 112) and books, study technology, and think about the bigger picture. Look – Learning to look past the surface to see what matters most is key to embracing the vital few. Think more like a journalist, looking past all the minor details so that you’re able to see the bigger – more important – picture. Sleep – Everyone knows the important role sleep plays in our ability to function at high levels of performance; and yet so few people protect this asset. “Our highest priority is to protect our ability to prioritize.” And sleep plays an important role in helping us see priorities clearly. With a clear understanding of what we must protect, now it’s time to move to the final two sections of the book – Eliminate and Execute. Eliminate – How Can We Cut Out The Trivial Many? This section begins with a chapter on gaining clarity. Before you can start cutting the trivial away, it’s important that we have a clear understanding of what’s vital – and what’s trivial. Greg provides some simple tools and exercises to help determine what your essential intent should be. With essential intent defined, it’s now time to begin eliminating those things from our lives that distract us – those things that hinder us from focusing on our essential intent. “The right ‘no’ spoken at the right time can change the course of history.” The simple two letter word “no” is what gives you the power to take control. But how? How can we possibly say “no” when we’re so invested in what we’re doing? The answer is by first identifying why we are so strongly holding on to previous commitments – even though they may no longer serve us. As Greg points out, we need to be aware of sunk-cost bias, the endowment effect, and status quo bias; as each of these rob us of our ability to properly discern what is necessary. Once you make a decision, you have to be willing to cut off everything else that will hinder you staying committed to your decision. Execute – How Can We Make Doing the Vital Few Things Almost Effortless? It’s show time. Now it’s time to actually begin removing the nonessential – everything that is not part of the vital few. 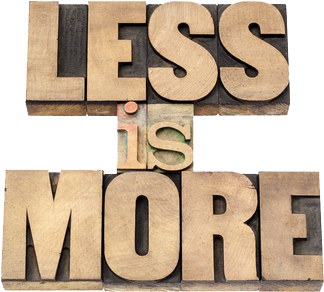 A critical mind set of an essentialist is: An essentialist produces more – brings forth more – by removing more instead of doing more. We have to learn to identify the constraints, and the bottlenecks – those obstacles that are hindering our success. Only once the constraint is identified and removed can we possibly hope to reach our goals. As an entrepreneur, being an essentialist actually boils down to living a life the really matters. It’s about understanding what’s truly important. It’s about those around us becoming better as a result of their interaction with us, our team, or our company. …doing the vital few – those things that will enable us to leave our mark on the world.